See more objects with the color rosybrown lightsteelblue sienna saddlebrown grey or see all the colors for this object. This is a Prototype. It was founded by Jay Osgerby. It is dated 2014. Its medium is polyurethane model board, die-cast aluminum. The Sabi HOLD helps people get in and out of the bath or shower. 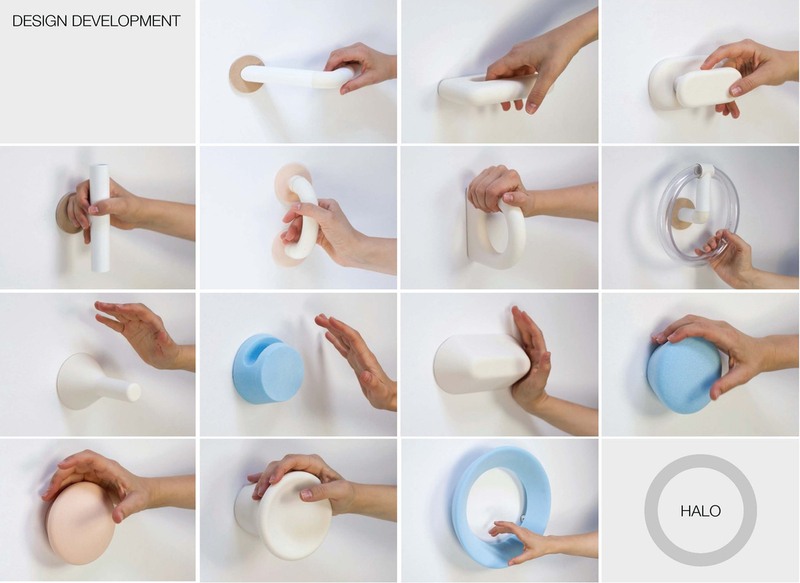 The designers explored a variety of handle shapes before arriving at HOLD’s serene circular form. The final product is comfortable to grasp and intuitive to use. The HOLD also functions as a towel holder, helping avoid reference to hospital-like grab bars. It is credited Courtesy of MAP.